Rick's Pocono Blog: Start The New Year Off in the Poconos! Start The New Year Off in the Poconos! Have a Happy New Year in the Pocono Mountains! There are still some Great Rental Homes and Second Homes available! Get yours and get to the Poconos to usher in the New Year! The Pocono Mountains is a Glorious place to be during the Holiday Season. Holiday Festivities including New Years Eve Parties, Holiday Decorating, Christmas Caroling, and Holiday Parties are all over the Poconos in its many Private Communities and Pocono Resorts. New Years Resolution? Come to the Poconos! Get your Holiday Get away Home in the Poconos at Ricks Mountain Homes Now! HAPPY HOLIDAYS FROM RICKS MOUNTAIN HOMES! Usher in the New Year at Lake Naomi Club! New Years Eve In Arrowhead Lakes! Come To Big Bass Lake in 2012! New Years Eve At Lake Naomi Club! New Years Eve Party at a Favorite Pocono Resort! Big Boulder is a Beautiful Pocono Resort! Pinecrest Golf & Country Club in the Poconos! 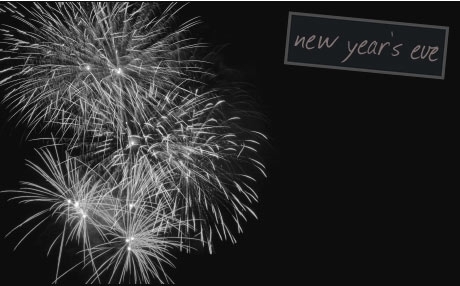 Settle in For New Years at Holiday Pocono! Big Boulder & Jack Frost & Pocono Resorts! We Bring You The BEST Pocono Resorts! 2012 in the Poconos at Bear Creek Lake! Pocono Springs Estates for 2012 and YOU! Indian Mountain Lakes is Your 2012 Destination! Come to Lake Naomi in 2012! The BEST and BIGGEST At Big Bass Lake! The All Four Lovely Locust Lake Village! New Years in the Poconos! Ski With Santa At Camelback Mountain! The Poconos Is The BEST For The Holidays! New Years Eve Party In Arrowhead Lakes! Come See Santa At Camelback Mountain! Usher in the New Year in a Perfect Pocono Home! Santa Skis Through The Poconos! Happy Holidays in the Pocono Mountains! The Best of ALL The Poconos! A Popular Amenity Filled Pocono Community! Even Santa Clause Comes to Ski in the Poconos! In The Woods and Near The Slopes! Everyone is Invited to the Pocono Mountains! All Four Season Fun at Bear Creek! Welcome to Thornhurst! A Hunters Paradise! The BEST in Pocono Action Location! Top Notch Fun All Year At Big Boulder Resort! Santa Clause Visits Arrowhead Lakes! Winter Is Here To Stay in the Poconos! Snow Guns Are Doing Work in the Poconos! Split Rock is the BEST Resort in the Poconos! Spend Your Holidays at Holiday Pocono! Christmas Festivities At Lake Harmony! Kids Cookie Decorating in Arrowhead! Nestled in Nature and Near The Slopes! Big Boulder Mountain & Resort Welcomes You! Even Santa Comes to Ski in the Poconos! Big Boulder Says Bring on the Snow! North Pocono Brings You Pocono Spring Estates! Pocono Attractions Surround Emerald Lakes! The Slopes Are Only Waiting For The Snow! A Peaceful Lake Community With 4 Lakes! Arrowhead Lakes Has It All In a Class Of Its Own! A Hunters Haven in Thornhurst Pa! Known Nation Wide is the 5 Star Lake Naomi Club! Getting Ready For Winter in the Poconos! Poconos Glorious Split Rock Resort Welcomes You! A BIG Community With Full Amenities! Ski Season is a Snow Fall Away! Christmas in the Slopes at Camelback Mountain! Elite Arrowhead Lakes Has It All! Tiny But Full of Life at Holiday Pocono! Buy a Home in the Beautiful Pocono Mountains! See It All At Emerald Lakes! Split Rock is a Pocono Mountain Dream Resort! Pinecrest Lake and the 18 Hole Golf Course! Get Lost in the Forest At Thornhurst!